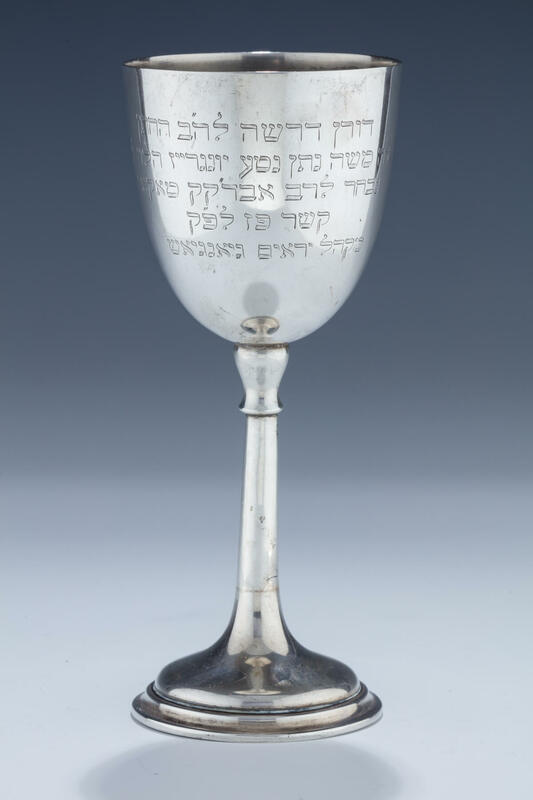 A LARGE SILVER PRESENTATION KIDDUSH GOBLET. Austria, c. 1920. Traditional form. Engraved with Hebrew presentation to Rabbi Moshe Nathan Nitta Yungreis (who was appointed as the leader of the Beth Din of the holy congregation of Takai) from the congregation Yereyim Gingish. 7.7” tall.